Animal Abuse should never happen, but it does, and way too often. Animals are defenseless and look to us for food and water, shelter, comfort, and companionship. Animals are always there for us when we need them. It is heart-breaking to think about the animals that are abused. It is important that we all take a stand and stop animal abuse and animal abusers. Many states have animal welfare laws, but these only offer protection on paper. It is important that we take a stand when animal abuse occurs. 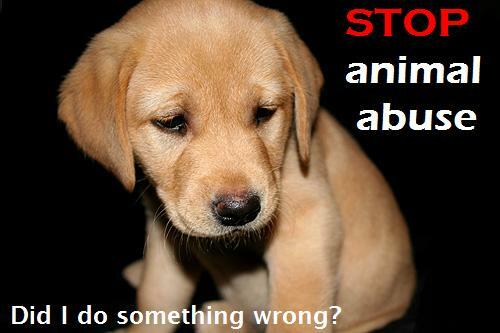 If you witness or suspect animal abuse, please contact the proper authorities to stop the abuse. An animal's life and welfare depends on it!! 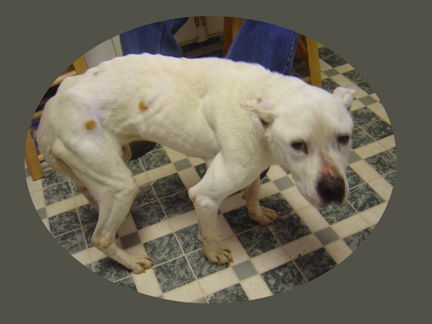 Please visit www.pet-abuse.com/ or www.hsus.org/acf/news/pet_abuse_disconnect.html and learn about animal abuse in your area.